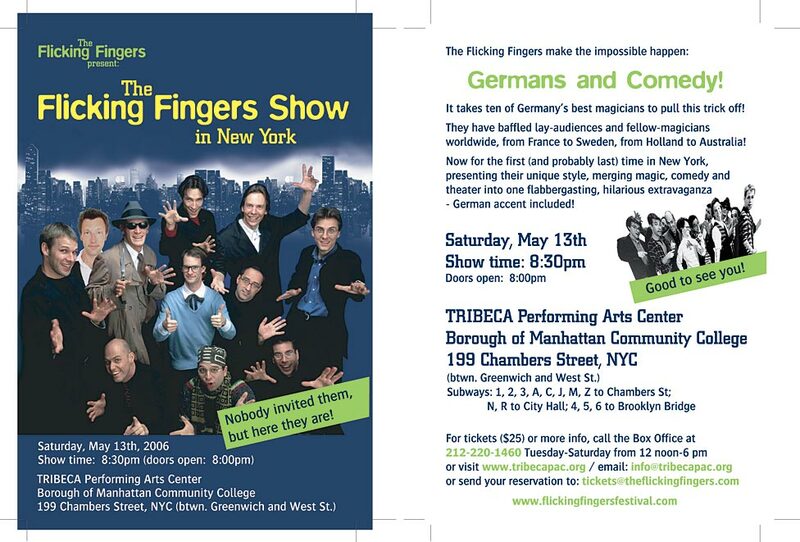 The Flicking Fingers - online! public show, May 13th 8:30pm! of ten of Germany's best magicians. authors and lecturers - enjoy the ride!